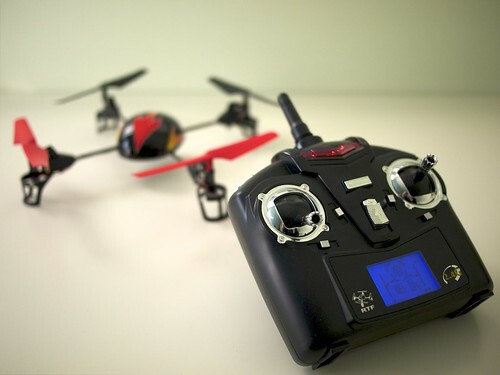 The nice people at Paramountzone sent me a Turbo Drone four channel remote controlled quadrocopter to review. 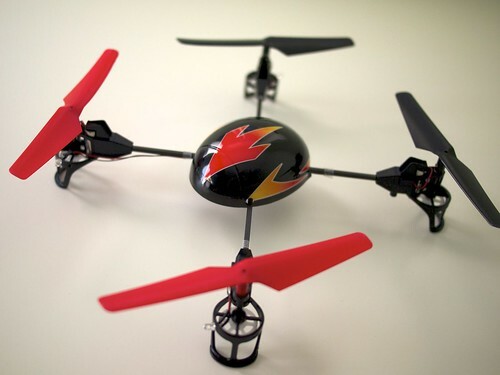 It’s 36cm across (including the rotors, which are 13.5cm each), making it just about small enough to fly indoors. The 500mAh 3.7v li-po rechargeable battery makes it conveniently easy to get spares; I had the exact same battery laying around in another remote controlled chopper. 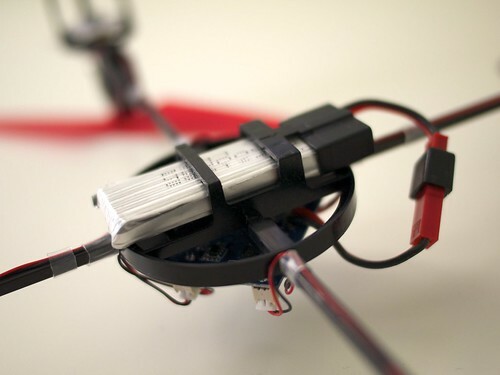 It takes 45 minutes to charge using the supplied charger, and gives about 10 minutes of flying time. It claims to be suitable for both indoor and outdoor flight (in ‘fairly calm conditions’) which, while I have yet to try it outdoors, I can definitely believe. Since my back garden is a terrifying tangle of trees I’ll probably be taking it to the local park to try out longer distance flight. The Turbo Drone RC Quadrocopter is a seriously nice little toy, and you should seriously consider it as a Christmas present to yourself. It’s stable and responsive (with the adjustable sensitivity on the remote allowing you to choose exactly how brave you want to be) and I’m finding it more fun to fly than similarly sized co-ax helicopters. It’s also available from Amazon.